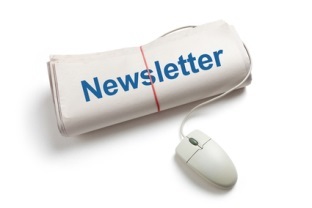 Welcome to the Mid-State Regional Key STARS Newsletter!! Check out our MSRK Contact List! On August 1, 2017, child care providers with full certificates of compliance will now be recognized for their commitment to high quality care and education and will be awarded a STAR 1 rating in Keystone STARS. Providers that are accredited by NAEYC or NAFCC may be able to move directly to a STAR 4. Scholarships to earn college credits and degrees through the T.E.A.C.H. Early Childhood Pennsylvania scholarship program. For more information from your Mid-State Regional Key please call Stephanie Mundorf at 717-854-3273 or 1-800-864-4925 ext. 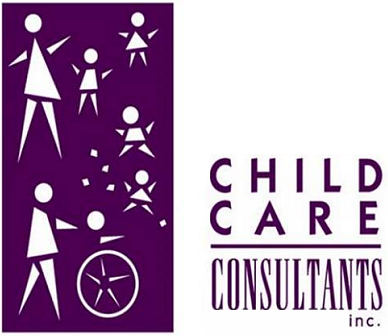 540 or 717-771-8540 or email smundorf@childcareconsultants.org. Program Observation Instruments (POI) - What Are They?Find out here! Have You Seen the New STARS Standards? The New STARS Performance Standards focus on practices that impact quality services for children and families. Building flexibility with lots of choice for providers. There are two OCDEL Announcements that are effective July 1, 2017 and apply to all OCDEL Bureaus and programs. These announcements connect deeply with the shared values and vision across all OCDEL initiatives and programs. The timeline below can help you plan how you can support the families, children and staff in your program. The OCDEL Inclusion Announcement is in response to the U.S. Departments of Health and Human Services (HHS) and Education (ED) policy statement recommending that states develop policies and practices to increase the inclusion of infants, toddlers, and preschool children with disabilities in high-quality early childhood programs. The OCDEL Suspension & Expulsion Announcement is in response to the U.S. Departments of Health and Human Services (HHS) and Education (ED) policy statement recommending that states develop policies and practices to significantly limit the practice of expulsion and suspension of young children due to challenging behaviors in all early childhood programs. July 2017: Look for the release of the Announcements via the PA Early Ed News (www.pakeys.org). Take some time to read the Announcements and think about what supports your program will need to meet them. Think about the families you support and how to involve them in implementing the Announcements. Reach out to the other programs in your area, including Early Intervention. Look at the resources on the PA Key www.pakeys.org and EITA Portal www.eita-pa.org. July 25, 26, 27, 2017: Consider attending the presentation on the Administrators’ Tool Kit on Preventing Early Childhood Suspension and Expulsion. This half-day session will provide administrators of early learning programs a hands-on experience in identifying characteristics of their program that potentially increase the risk for early childhood suspension or expulsion and planning systemic changes to minimize this risk. Participants will start with a program self-assessment. The self-assessment results will guide exploration and use of the online toolkit, Preventing Suspensions and Expulsions in Early Childhood Settings and planning strategies that will address the needs of individual programs. See the flyer at http://bit.ly/2tobcOa for registration information. August 2017: Watch for a brief tool, Getting Started: Implementing the OCDEL Inclusion Announcement. This quick guide is designed to help programs frame the seven local steps outlined in the OCDEL Inclusion Announcement. Late summer/early fall 2017: Watch for the guidelines for the Announcements to be released. There are resources to help you! Please read the guidelines and begin to make connections with your local partners like Early Intervention, Child Care, Head Start, Pre-K Counts programs, or other local planning and coordination groups. September 2017: Look for the release of the STARS Orientations. The Announcements align closely with the STARS Core Principles and are a foundational piece of every program’s efforts to build their structural quality. Please ensure your staff understands how and why these announcements are meaningful for both the children and teachers in your program. Please note the Announcements apply to all OCDEL programs and are part of the STAR 2 Performance Standards. October 2017: Join us at the Early Childhood Education Summit (earlychildhoodsummit.org) to learn more about the Announcements and connect with other programs and partners. December 2017: Think about the professional development you and your staff have accessed over the past six months. Are there more supports you need? Different information? A deeper dive into one specific topic? Please let us know! All programs will receive an on-line survey to ensure OCDEL is meeting your needs. February 2018: December’s survey results will be shared with the field, along with the proposed new resources and supports that will be developed during spring/summer 2018. March 2018: Please join us for a webinar from Early Intervention Technical Assistance on how to use a new online course, Collaborating for Inclusive Practices in Early Childhood. This innovative course is designed to be taken by Early Intervention and early childhood partners working through the online course together. Let’s think together about how to best support all children! Information about the webinar will be sent out in the PA Early Ed News. Subscribe to the PA Early Ed News at http://bit.ly/2dyEwsP. July 2018: Please join us in welcoming our new Early Learning Resource Centers (ELRCs)! The ELRCs are your one stop for supportive resources and connecting children and families to resources to support their ability to find and stay in a high-quality early learning program. Information on connecting to your local ELRC will be announced through the PA Early Ed News. Do the water limbo: Turn on some music and grab your garden hose. Pretend the stream of water is the limbo bar. After each child passes under, lower the water hose and let them go again. Have an Ice Block Treasure Hunt: use a large tupperwear container and fill it up with fun toys and odds and ends and then fill it with water and freeze it! Give your kids toy hammers and other play tools to bust it open in the sunshine. Water Limbo “How low can you go without being completely soaked?? ?” Put on some great limbo music, take a hose and blast on the water. The water from the hose will serve as the limbo stick. Hold up the hose and have everyone limbo by facing forward and leaning back. Each time lower the stream of water so that it becomes harder. Musical Sprinkler Freeze The great thing about this game, is that everyone’s a winner (and everyone gets soaked!!). Start with the sprinkler/s turned off. Players must move around the sprinkler area, jumping, dancing or striking funny poses. Then, when the sprinkler is turned on, they must freeze in position and get drenched until the sprinkler is turned off again. Number splash: The children sit in a circle, you fill a shallow pan with water and the children roll a dice when the predetermined number comes up the child that rolled the dice will get to slap their hand into the pan of water splashing their friends. 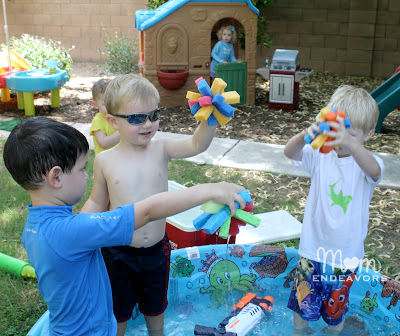 Bring water play outside adding colored ice cubes (freeze water in larger containers but watch for small pieces as they melt-they could pose a choking hazard) and fill and dump containers. Spray bottles are of course one of our most valuable resources at the dollar store. ECELS Supervision Series: Be Safe! Be Smart! Welcome to the ECELS Supervision Series for early care and education staff. ECELS receives requests for technical assistance about supervision from programs and child care health consultants. The messages in the series will focus on supervision tips or reminders. Use the tips to check-in with staff about how this supervision measure is being used in your program. The following strategies for active supervision allow children to explore their environments safely. Infants, toddlers, and preschoolers must be directly supervised at all times. Staff must be able to see, hear, direct and assess children’s activities. Focused Attention and Observation of Children: At all times, including while interacting with individual children—watching, counting, and listening for sounds or the absence of sounds that raise concern. Teachers/caregivers limit adult-adult socializing to break times or when they have made arrangements to delegate supervision of children to another teacher/caregiver. They do not talk on cell phones or use text messages or other forms of social media while supervising children, except to summon help in an emergency. Knowing Each Child: Teachers/caregivers strive to know each child’s abilities, anticipating challenges that might lead to harmful or undesirable behavior. They use what they know about each child's individual needs and development to offer support. Staff wait until a child is unable to solve problems without help to get involved. Children may need different levels of help or redirection depending on individual needs. Here are the tips and reminders for Week 2 of ECELS Supervision Series for early care and education staff. Use the tips to check-in with staff about how these supervision measures are being used in your program. The following strategies for active supervision allow children to explore their environments safely. Infants, toddlers, and preschoolers must be directly supervised at all times. Staff must be able to see, hear, direct and assess children’s activities. Set Up the Environment: All areas are easy to view and free of distracting sounds that hinder hearing what children are doing. Spaces are free of clutter and trip hazards. Areas are organized for safe storage that allows only appropriate access to materials without risking a fall or having materials fall. There are clear and simple safety rules that are consistently reinforced. Choose Strategic Positions: Position staff where they can observe all the children and scan play activities in the entire area. Staff remain directly responsible for close supervision of those children specifically/individually assigned to them. Use Model Child Care Health Policies, 5th Ed. Appendix P: Staff Assignments for Active (Large-Muscle) Play as a tool. We are very excited to announce that the Child Care Wellness Mini-grant Project is officially accepting applications for the 2017-18 program year! 100 selected licensed child care sites will begin the project in September 2017 and complete in June of 2018. PA NAP SACC is an interactive, easy-to-use online tool that provides professional development for child care providers. This completely web-based process includes self-assessment, action planning, implementation, policy development, post-self-assessment, and reflection. WHEN: Applications are due by August 18, 2017. This Child Care Wellness Mini-grant Project will begin in September 2017 and wrap up in June 2018. WHY: Beyond the reward of making a difference in the health of the children in your care, participants also receive a $500 mini grant to support their action steps and enhance their nutrition and physical activity practices and policies. HOW: To apply, please complete and submit the application electronically using the link provided. **Please note that this application was created in Survey Monkey, and cannot be started and then returned to at a later date to complete. Please allow yourself enough time to complete the application in one sitting. To preview the questions on the application ahead of time, click to access a PDF of the application questions. You can also click here to view the full grant announcement. If you have questions or require additional information, please contact Lori McMonigal, Coordinator for Special Projects at Tuscarora Intermediate Unit, at 717-248-4942 x 112 or lmcmonigal@tiu11.org. Food insecurity, which refers to a lack of food or sufficient quantities or quality of food necessary for a healthy lifestyle, impacts nearly one out of every five households in the United States, many of which include young children. In 2014, more than 15.3 million children lived in food-insecure households, while the rate of children living in "very food insecure" households--a more severe form of food insecurity where families experience more frequent disruptions to normal eating patterns--is on the rise. This trend is particularly alarming because, while food insecurity is harmful to all people, it can be especially devastating to a child's development. Children have much smaller stomachs than adults and restricted access to food during the day. Not being able to eat the same quantity as an adult and not being able to "just whip out something to eat in the middle of their lessons as needed" means that children require "nutrient-dense meals and snacks," said Sibylle Kranz, an associate professor of education at the University of Virginia and a certified child nutrition epidemiologist. "There is pretty solid evidence that children who are hungry are not able to focus, so they have a low attention span, behavioral issues, discipline issues in the school," she said. "So having children who are well-fed and not hungry makes a difference in their individual performance and also how much they are contributing or disrupting the classroom situation." Researchers from Georgetown University and the University of Virginia have found young children who experience food insecurity have difficulties in learning and performance in kindergarten. The study showed children with food insecurity in early childhood were more likely to be less prepared to start kindergarten compared to children from food secure households. "Timing of food insecurity matters," Anna Johnson, an assistant professor of psychology at Georgetown, said in a press release. "In our study, food insecurity in infancy and toddlerhood predicted lower cognitive and social-emotional skills in kindergarten, skills that can predict later success in academics and life." One in five eligible Pennsylvanians who qualify for SNAP don't participate in the program. Fewer than half of low-income students who receive free or reduced-price school lunch are getting school breakfast. When school is out, four in five low-income students miss out on summer meals. To help make sure programs are aware of the resources available to schools, communities and families, some of the most readily available programs are outlined below. Schools send free meal applications home at the beginning of each school year. However, families may apply at any time throughout the school year by submitting a household application directly to their school. To see if a family qualifies, check out the income eligibility guidelines from the U.S. Department of Agriculture. CACFP provides reimbursement for meals and snacks served to children receiving non-residential day care in private homes that are licensed, registered, or approved to subsidized relative/neighbor child care. Some families may qualify for SNAP, which provides money on a debit card that can be used to purchase food. Apply for/renew SNAP benefits online through COMPASS. Through COMPASS, Pennsylvania families can apply for other services to help make ends meet. File an application in person at a County Assistance Office. Find the closest office. Start your WIC application and learn about what is need to bring to your first appointment. If families receive WIC they are also eligible to receive vouchers that can be redeemed at approved Pennsylvania farmers' markets. Find a nearby farmers' market that accepts Farmers' Market Nutrition Program vouchers. Yes, children are more sensitive to heat and cold stress than adults. Heat tolerance is directly affected by body size. Children are small and weigh less, but because they have a larger relative surface area than adults, their ability to tolerate either heat or cold stress is affected. During exercise, most of the energy released from the body appears as heat. The more we exercise, the more heat we build. And the more heat we build, the more we have to get rid of it. The evaporation of sweat is the most effective way to get rid of body heat. Pound for pound, children build up more heat than adults. For example, if an adult and a child are walking, the child is accumulating more heat. To make things even harder, children do not sweat as much as adults. Paradoxically, in cold conditions, children lose heat faster than adults and are more vulnerable to over-cooling. Children are more susceptible to cold stress because of their relatively large surface-to-mass ratio. Children also lose heat rapidly in cool water. The smaller the child, the faster the heat loss. Children also take longer to acclimatize to changes in hot and cold weather. 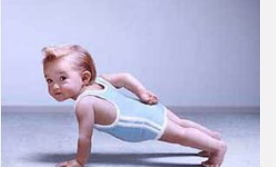 An adult body will acclimatize to a heat wave in about a week to 10 days; a child's body will take about 10 to 14 days. Adults should be aware that while they may be coping well with heat or cold, the child may not yet be acclimatized or may not have the same tolerance. You may have learned that starting July 1, 2017, school age providers have an alternate pathway to higher STAR levels through ASQ. But what is ASQ? ASQ stands for After School Quality. It is an opportunity for care directors, staff, children, families, feeder/host school leaders and communities to employ a collaborative approach to examining what is working and what needs to improve in their after school program. Through the ASQ 5 step process, stakeholder teams in school age programs are empowered to develop and implement a CQI plan that is based on their program’s unique vision, resources needs and goals. Your SACC Specialist will be there to provide technical support and guidance throughout your ASQ journey, but you will be in charge. Join us for a STARS Networking Meeting! ERS Work Group with Amy Hoffman 8/2/17, 10:00-11:30, at Panera Bread, Carlisle Road, York with Carrie - Amy Hoffman will be there to answer any questions you may have! Transition to Kindergarten Conference at PATTAN Center, Harrisburg 10/26/2017 For Cumberland, Dauphin, and Lebanon County Educators! Learn the best transition techniques, ideas, and strategies to implement in the fall! Effective 8/1/17, the renewal cost for Director’s Credential will be decreasing from $125.00 to $50.00. Please contact the PA Key for more information. There will be an AM & PM session repeated at each location. Choose only one. This half day session will provide administrators of early learning programs a hands on experience in identifying characteristics of their program that potentially increase the risk for early childhood suspension or expulsion and planning systemic changes to minimize this risk. Participants will start with a program self-assessment. The self-assessment results will guide exploration and use of the online toolkit, “Preventing Suspensions and Expulsions in Early childhood Settings” and planning strategies that will address the needs of individual programs. This is NOT and in-depth behavior training intended for practitioners, it is an orientation for administrators to a free on line tool kit. The Child Care Health Advocate course (EARL 160) is offered by Northampton Community College is an online, 3 credit hour online college course taught over 15 weeks for directors, lead teachers and family child care providers. Health advocates are early childhood practitioners who see to it that their program integrates best practices in health, safety and nutrition, even though they may not perform those practices directly themselves. The course is intended to enable students to meet Standard 1.3.2.7 in Caring for Our Children 3rd edition, the national health and safety standards for early care and education. The students learn to assess, identify, prioritize and implement current health and safety standards in the programs where they work. 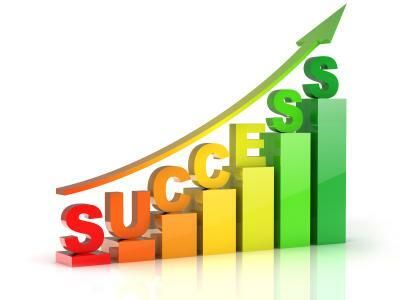 This course continues to receive accolades from all the enrolled students. It offers a unique opportunity for directors and lead teachers to acquire academic credit that may be applicable toward college degrees. Since 2007, faculty members who are health professionals and child care health consultants have taught this course as an ongoing collaboration between Northampton Community College and the PA Chapter of the American Academy of Pediatrics. Pediatrician, Susan Aronson, MD wrote and regularly updates the curriculum. “Dr. Sue” participates in the online weekly discussions and in the 7 live interactive sessions offered during the course. Learn more here. MSRK Funded Online CDA Specialized Diploma - NEW!!! Forty percent of pregnant women have tooth decay and/or periodontal disease. Pregnancy does not cause tooth loss. Babies do not take calcium from mothers’ bones and teeth during pregnancy. Pregnancy is an exciting time in a woman’s life. It is safe and important to get oral health care during pregnancy. For example, pregnant women can safely have their teeth cleaned, have X-rays taken, and receive treatment. Preventing oral disease can help keep women healthy during pregnancy. This issue of Brush Up on Oral Health talks about oral health concerns during pregnancy and offers tips for Head Start staff to help pregnant women keep their mouth healthy. A recipe for a healthy snack that can be made in the Head Start classroom or at home is also included. Many pregnant women develop pregnancy gingivitis. Signs of gingivitis include red, swollen gums that bleed when brushing or flossing. Gingivitis happens because women’s hormones change during pregnancy, making gums more sensitive to the bacteria that cause gum disease. If pregnancy gingivitis is not treated, the infection can lead to periodontal disease, which can impact the woman’s overall health. For more information, see the May 2017 issue of Brush Up on Oral Health. 1. Brush twice a day with fluoride toothpaste. Remind pregnant women that brushing in the morning and just before bed removes bacteria that cause oral diseases. Using a soft bristled toothbrush and fluoride toothpaste helps prevent tooth decay and pregnancy gingivitis. 2. Floss once a day. Help pregnant women understand that flossing once a day removes bacteria from the sides of each tooth where a toothbrush cannot reach. This is especially important for keeping gums healthy. Invite a dental hygienist or dentist to the program to show the best method and give pregnant women feedback on how to improve their flossing. 3. Consume healthy foods and beverages. Consuming healthy foods and beverages, especially those low in sugar, helps keep pregnant women and their babies healthy. Teach pregnant women how to read nutrition labels to identify foods and beverages high in sugar. Remind pregnant women to drink fluoridated water throughout the day. 4. Receive oral health care during pregnancy. Receiving oral health care during pregnancy is safe and important. Help pregnant women find a dentist if they don’t have one. Ask for a referral from the woman’s physician, the local or state health department , the local or state dental association, social service professionals, or the Head Start state dental hygienist liaison . 5. Tackle morning sickness. Many women feel sick or vomit during pregnancy, especially during the first 3 months. Many times, having small snacks throughout the day helps. But this can increase a pregnant woman’s risk of developing tooth decay. Encourage pregnant women to choose healthy foods low in sugar or to brush more than twice a day. For women who vomit often, urge them to rinse with a teaspoon of baking soda mixed in a cup of warm water to stop stomach acids from attacking their teeth. 6. Role-play a dental visit. Role-playing can help relieve fears that pregnant women may have about dental visits. Prepare a script with the woman where she tells the dental team that she’s pregnant and when her baby is due. Work with her to develop questions that cover any concerns she has about getting care while pregnant. Invite a dentist or dental hygienist to participate in the role-playing activity. Head Start and Early Head Start programs play a supporting role in helping families to identify their educational goals and develop a plan for achieving them. This webinar will explore the range of goals and needs that families typically identify during family goal-setting activities. Join us to learn effective strategies staff can use to connect families to resources and opportunities through referrals and community partnerships. This webinar is part of the Building Foundations for Economic Mobility (BFEM) webinar series. Participants will receive a certificate of participation upon completion of the webinar. Questions? To learn more, please contact us at pfcewebinars@ecetta.info or (toll free) 855-208-0909. The 2017 ECE Summit will be held October 16-18, 2017 at the Penn Stater Conference Center, State College, PA. This annual event provides early care and education practitioners, parents and advocates an opportunity to dialog and learn while building a stronger early learning community. With support from the Department of Human Services, Office of Child Development & Early Learning the Summit will again this year be able to offer scholarship to support staff working in DHS regulated child care programs -- center, group and family to attend the ECE Summit. Additionally, staff from the 32 state- funded Family Centers are also eligible to apply for scholarships to the ECE Summit. Scholarship funding may be used to pay for Summit registration and/or overnight accommodations. 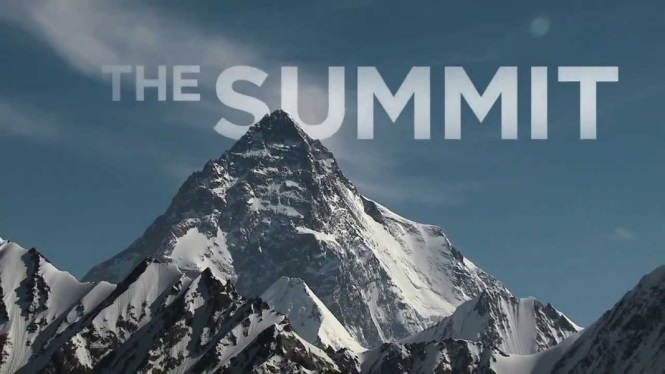 Scholarships will be available for both full and partial Summit registrations or a combination of both. Applications must be submitted by Friday, August 18, 2017 at 11:59 PM EDT. Applicants will be notified of their status via e-mail by Friday, August 25th. More information on the registration process will be provided at that time. York Day Nursery, Inc. a well-established NAEYC and Keystone Star 4 Early Childhood Education Center, is seeking a Pre-K Counts Lead Teacher ! Teacher must have a PA Teaching Level I Certificate for PK - 3rd grade and Bachelor’s degree in Early Childhood Education. Details here. Thank you for all you do for children, families, and your community by being part of the STARS program!